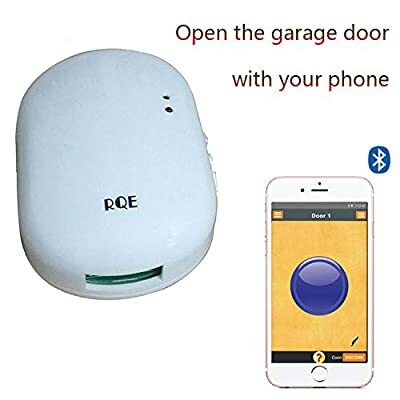 It lets you open/close your garage door with your smartphone. Also, it will not interfere with your existing remotes or wall console. Can support up to 32 users. This feature will allow your families to access your garage. If you have two garages, you will need two controllers. With one APP, you can control multiple garages. 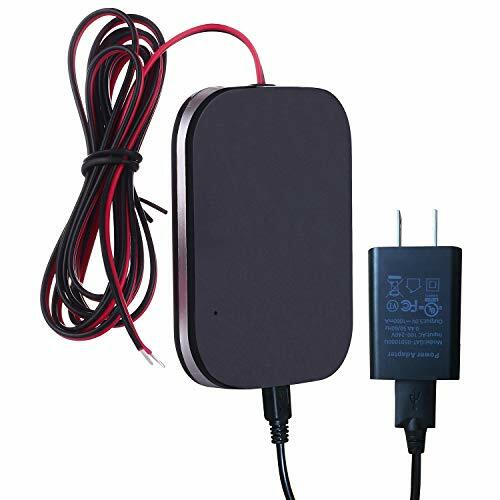 Can be installed in minutes with only two wires to connect to your garage door opener or wall console. Compatible With Allister, Chamberlain, Genie, Liftmaster, Linear, Overhead Door, Raynor, Sears Craftsman, Sommer, Somfy, Wayne-Dalton and most other garage door openers that use a single-button remote control. - Chamberlain: NOT compatible with Chamberlain openers which have a Yellow Learn Button. - Liftmaster: NOT compatible with Liftmaster openers which have a Yellow Learn Button. One year warranty. We offer a free replacement policy, totally no risk for you. 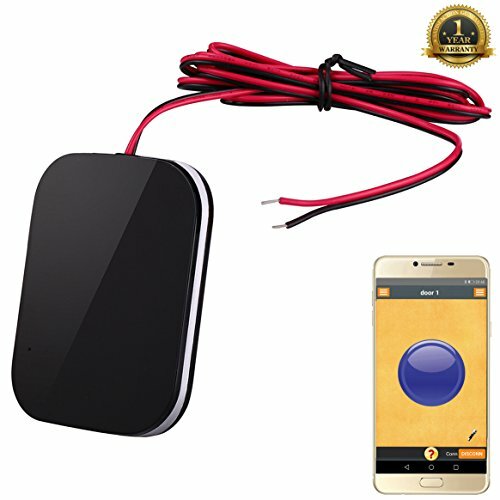 Open & Close Your Garage Door From Anywhere: Simple and easy-to-use app allows you to conveniently control your garage door. Bluetooth & Wi-Fi Connection: 128-bit AES encryption. It requires a 2.4 GHZ WiFi connection. 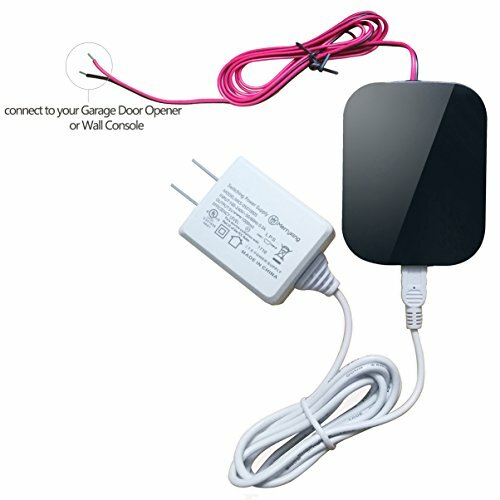 When your home Wi-Fi doesn't work, you can still open your garage door via Bluetooth(within Bluetooth range). Activity Logs: Tell you when the garage door was activated and who operated it. Multiple Users: Supports up to 32 users, and you can manage other users with the app. 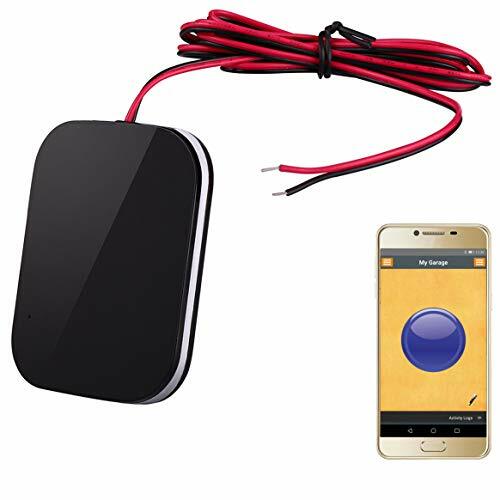 Tell You If Your Garage Is Left Open or Not: To save your cell phone battery life, each time you open the app, it will update the status of the garage door. Not instant notification.